„Imperfection is perfection to a beautiful perspective.“ – Take a look at this scarce 10 Pfennig DDR without mint mark. 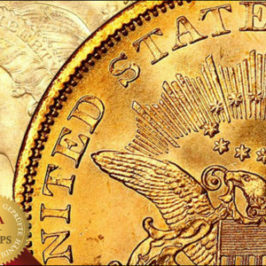 Perfect=imperfect due to a double coinage. 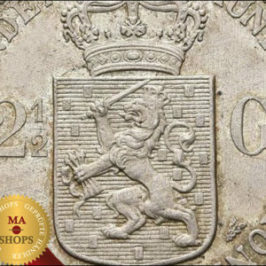 Sneak a peek at this interesting exemplar from the incredible collection of our MA-Shop „Guy Franquinet Coin Trade“, who is a settled and reliable certified dealer of our platform. 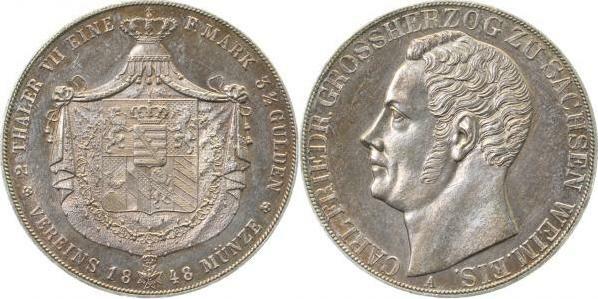 In 2018, the Guy Franquinet Coin Trade in Crailsheim has already been in business for 35 years. 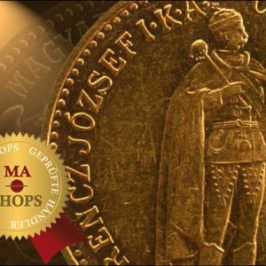 During this period, they have accompanied and consulted thousands of collectors and have paved the road for their journey to coin collection. How did this come about? 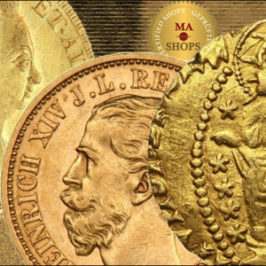 As is the case with many other collectors, it all started during the days of his youth, with a few silver coins given to him by his grandmother. When the price of silver started to climb during the late 60ies, the silver coins in circulation were finally discarded also in the Netherlands and replaced by coins made of copper-nickel alloys. It was only many years after that he remembered his hobby again, when the ads of a well-known German numismatic company seemed quite appealing to him. 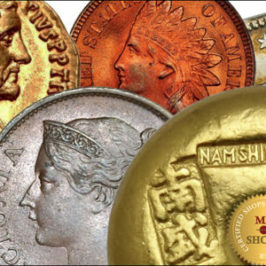 After having received several shipments and noticing considerable price differences, he made the decision to turn the tables and started supplying coins to these companies, those coins that they sold – the sources that he had discovered were simply better. 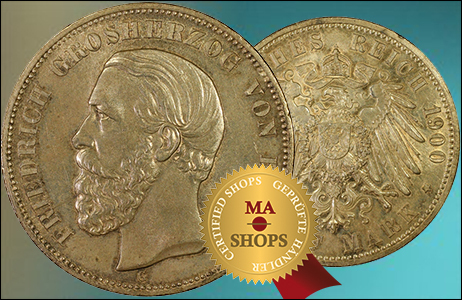 One thing led to another and in 1983 he registered his first coin trade with the authorities. 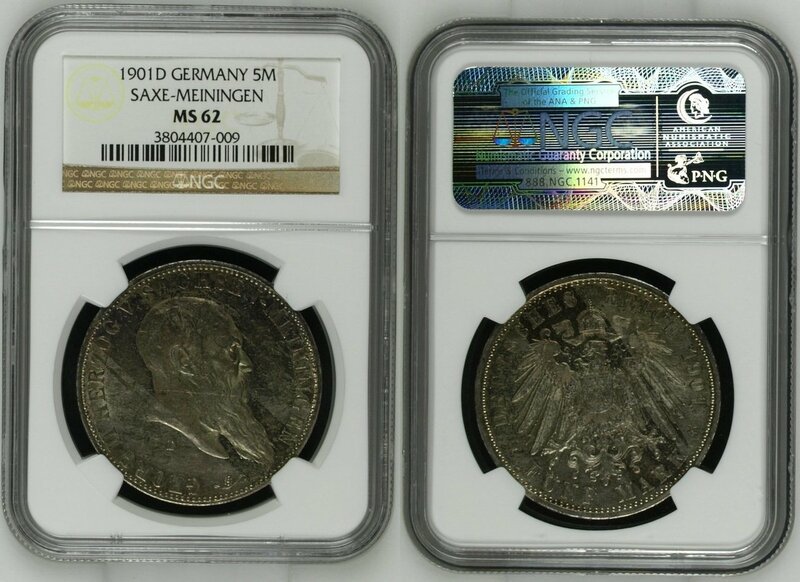 There were plenty of coin traders at the time, but he noticed quite soon that “small change” in excellent condition was rather scarce resp. is still today! During his regular travels to the USA, he also found out that double strikes or other deficiencies are a quite underexposed field of collectors’ interests. And yet, these double strikes, deficiencies, and trial minting have always been the icing on the cake. During the 90ies of the last millennium, he was sworn in as an official expert and it was also during the 90ies that he conducted a scientific study on the monetary history of the Litzmannstadt ghetto – a previously white spot of German history. 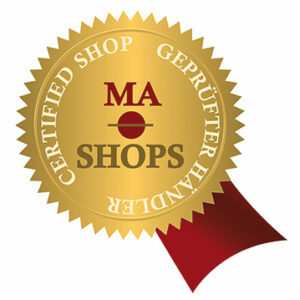 Also in his latest days he would like to continue being of service to his collector clients and friends. Positive and hoping that he will still be in a position to bring the joy of collection to these people and a reliable partner to help them, that is something that he tremendously enjoy doing. 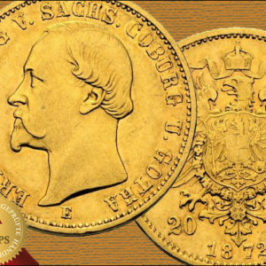 5 Mark 1901D Empire Georg II.